You may remember Belle, as she was also a contestant in our Halloween contest. 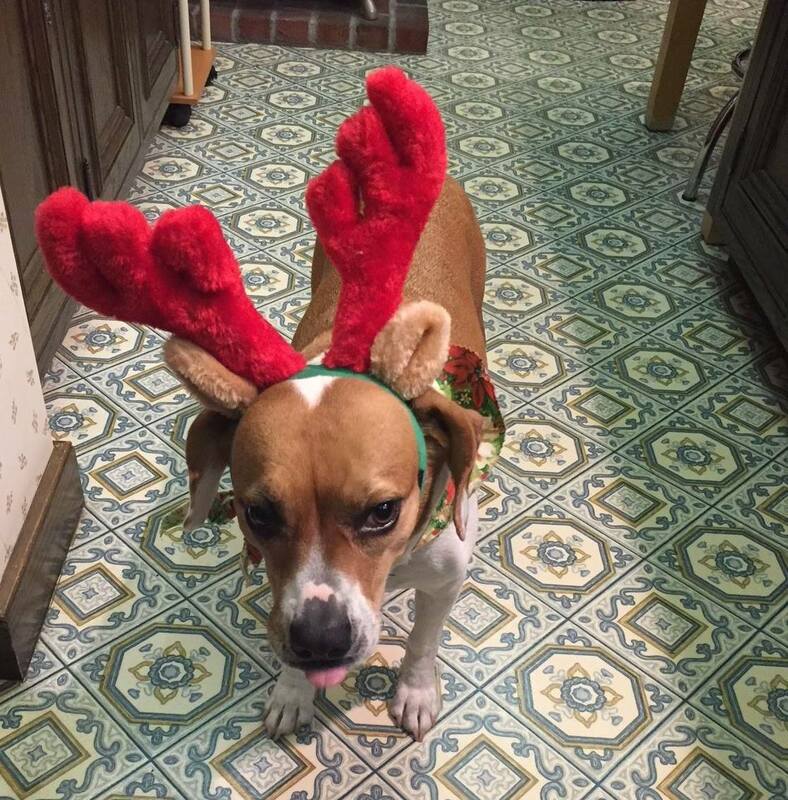 She is ready for the holidays dressed to impress as a reindeer!!! Contestant owner, our very own Dan McDevitt.